Hey, Rachel! It is good to hear from you, and I am very happy to help. First, take a look at this blog which will give you the basics on finding background work in NYC. While you're there, you can use the links on the right hand side to find blogs on other topics, including an article on SAG Vouchers. As far as background work on soaps, the best way to get involved with those is to meet the background casting directors through The Network or some other seminar organization. For $32 you can participate in a Q&A with the casting director, and then you will be given a scene to perform with a partner. After you read the scene, you'll have time to chat with the casting director and you can tell him/her that you are primarily interested in background work and see what kind of suggestions they have for you. Most likely, they will put you on their short list of actors to call in and the rest, as they say, will be history! One thing to note: on soaps, all background actors must be AFTRA. 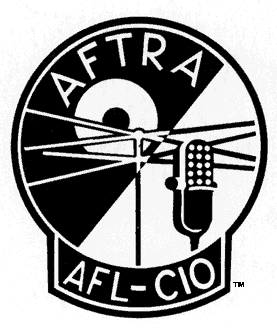 AFTRA is an open union, meaning anyone can join at any time. Here's how it works. You'll get your first job on a soap, and you'll be made AFTRA eligible. Once that happens, you'll have 30 days to join the union. Within that 30 days, you can continue to work as many AFTRA or non-AFTRA jobs that you'd like. But once 30 days hits, you will become a "must-join" and you'll be required to join AFTRA before doing anymore work. To join, you go into the AFTRA office and sign up. You'll have to pay an initiation fee (as of 03/2011 the fee is $1600.) You can pay that in full, or you can pay half now, and half in 3 months. In 3 months, they will also require a bi-annual dues payment (which is $63.) The good news is that once you are AFTRA, you will be able to do quite a bit of background work. Within one year I paid for my membership with the work I had done on Guiding Light, not to mention the principal role I shot in a commercial. I also want to note that once you join AFTRA, you are agreeing to avoid ALL NON-UNION WORK in the future. Meaning, once you are AFTRA you are not supposed to do any non-SAG or non-AEA projects. There is a solidarity agreement between all 3 unions that states that once you are a member of one union, you agree not to work for a non-union producer in other jurisdiction. I wanted to mention this, since I know you do quite a bit of theater work. I hope this has been helpful. Let me know if you need anything else- and good luck! It's never enough to be in love with the idea of becoming a professional actor - you have to know how to do it. This is almost always a matter of understanding how the business actually works - and what opportunities actually exist ... for you. Many actors focus on their thinking on how things SHOULD work - and ignore how things DO work. Advertising, promotion, sales, budget management, networking and a host of other 'business' related skills are important to your acting business. If you expect other people to do these things for you - your business is going to flounder. That being said- this is a reminder that TONIGHT is the Bite-Size Business Soiree in NYC- email me if you would like to attend. Did you know The Actors’ Enterprise has a resource directory with links to over 400 online resources? It’s true! Here’s how to use the Official TAE Resource Directory! Feel free to leave a comment here if you know of a resource that is missing from the directory. I will then visit the site and make sure it fits the parameters of the resources I offer. This article from the NY Times talks about a trend that is changing the types of leading male characters that are appearing in Broadway Musicals. This information is very useful to know as you are defining your brand in the musical theater scene. Start examining the work that is coming out of Broadway to determine where you fit on the larger scale, and look at the similarities or differences. Is this trend something that you can embrace, or you do fall somewhere outside of it? Either way, consider modifying your marketing plan and materials to communicate who you are, in the face of this trend, in your auditions and submissions. Agent: An individual or organization that bargains on behalf of the actor in contract agreements. The agent is the one who negotiates any pay above the union minimum (or total pay, for non-union folks). They also negotiate other terms of talent contracts, including (but not limited to) name billing, merchandising, accommodations, work schedule, etc. Agents also bargain with casting directors to get their clients seen by the casting office for specific projects, and act as a “voucher” for actor talent and suitability for specific projects. Agents and their agencies are regulated by their individual Department of State offices, as well as their “franchise” agreement with the unions. Manager: An individual or organization who helps guide an actor’s career. Managers take a more personal role in working with an actor on improving their position in the industry, including (but not limited to) selecting scripts, setting up meetings with casting directors and producers, introducing actors to higher level agents (when appropriate.) Managers also help actors create a brand image for themselves and then help the actor assemble a team of folks to help in the pursuit of a larger career, including publicists, stylists and other handlers. Managers are not bound by state or union contracts, but there are several membership organizations for managers that require their members adhere to a specified code of ethics. So, this means that someone with both an agent and a manager would be paying somewhere close to 25% (or more) of their gross pay to their team. Assuming you also pay approximately 25% in taxes- this doesn’t leave that much for your income! So think clearly before you opt to add either (or both) to your team, and choose your team wisely! Have any questions about agents and managers? Let me know by emailing me or leaving a comment, and I can either update this article or post another! UPDATE: In response to one of the comments left, I have written another blog post going further in depth about agents and managers. Read the comments below, and then take a look at the post here.